This well cared for home is 1664 +/- sq. ft and has 4 bedrooms, 2 baths, home & features a generously sized fenced in backyard & deck with trees. On the top level, there is a living Room, dining room, kitchen, 2 bedrooms (including the master bedroom) & 1 full bathroom. Downstairs we have 2 bedrooms, 1 full sized bathroom, a bonus rec room & large laundry room. The rec room would be great for your man (or woman) cave, a family room, or theater room! This home has been remodeled inside & out& has plenty of upgrades. The kitchen features newer countertops, stainless steel appliances, custom backsplash, & new custom tile. The tile extends to the dining room & foyer. There is a newer trim package, new electrical panel, & new lighting. The roof is new with custom shutters, new front door & garage door. This is a great place to entertain outside as there is a covered front porch to relax one & a large deck in the back. 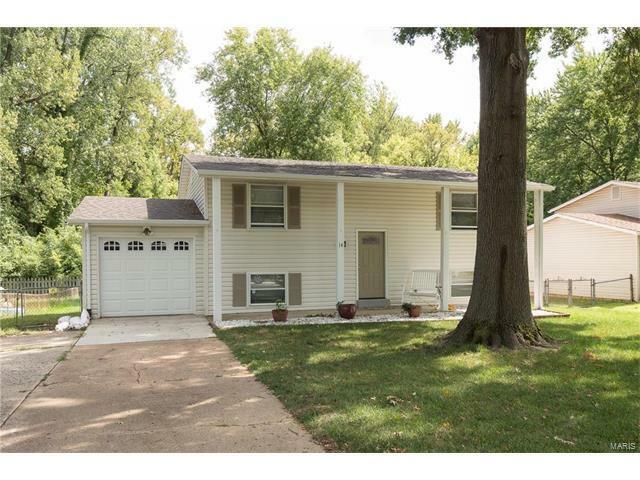 This charming, St. Charles home is updated and ready for you to move in! Here we have a beautiful & completely remodeled home in St. Charles off of McClay near highway 94 and St. Peters Howell road. You will live just minutes from hwy 94 and the page extension, shopping, restaurants, and schools!